During the holidays, we sometimes take even the smallest things for granted. This issue visits seemingly small things which are making a big world of difference. Patient Benefits of I-125 Seed Use for Breast Cancer. 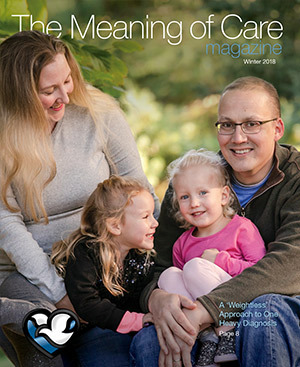 The Meaning of Care Magazine is published by Nebraska Methodist Health System. Featuring interviews with care providers and first-person stories of patients touched by our services, it is produced entirely by Methodist Marketing Department staff.